As a Fit Girl, you tend to be at the gym for several days a week and your workout routine can get quite boring after a while. Boring routines are a real motivation killer and this needs to change. When I notice that my motivation is going down, I’m always looking for new and fun workouts that I can do at home or at the gym. This is how I motivate myself and learn new things. So, here is a list of my favorites online workouts. By visiting the website of Grokker my heart already starts beating faster. The website provides you with so many different workout videos, from yoga to cycling to HIIT. You’ll find it all there! The nicest thing about it all? You can do the workouts in the comfort of your own home. And if you want to do them at the gym, then you always have the workouts with you through the mobile app. Are you starting to get curious? You can try Grokker yourself for free for two weeks. Do you end up not liking it? Then you’re no commitment to anything! If you end up liking it just as much as I do, you can say goodbye to that gym membership and do all your workouts from home. Training just like Ellie Goulding or doing the favorite workout of Lea Michelle, the Nike Training Club makes it all possible. Besides the workouts of various famous celebrities and trainers, you can choose from hundreds of other workouts. Also, you can set personal goals where you’ll receive suggested workouts that match these goals. This way you’ll get exactly the workout that you need and you’ll even be pushed to step outside of your comfort zone. Doing a complete workout in seven minutes? Sounds good, right? Well, it’s possible with the 7 Minute Workout App! You can choose from various different workouts. You can train your entire body in seven minutes or opt for targeted workouts such as fat burning or getting beautiful legs. The funny thing about the app is that you can even choose who will guide you during your workout. Will it be a cheerleader or rather a drill sergeant? The choice is yours! 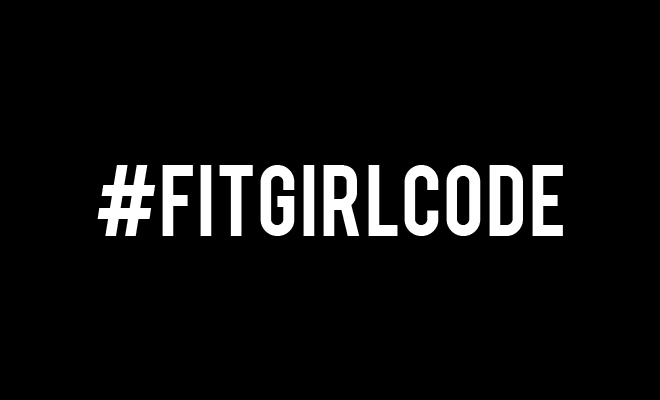 Take a look at our online Fitgirlcode guide! This guide provides an 8 week long workout schedule packed with body workouts and healthy recipes! The guide helps you start your Fit Girl journey by offering diverse workouts and recipes, telling you what foods to buy and a happiness journal, helping you track your progress. With all these workouts I have gathered quite some inspiration for the next couple of weeks! Have you tried any of these apps already, what is your favorite? Good luck with your killer workout, you can do it!